Where do I connect the speaker? 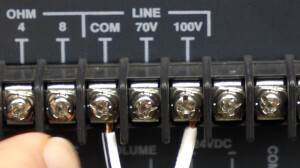 Would you like to know which terminals are used to connect a constant voltage 70/ 100 volt speaker to the back of a PA amplifier, then this audio tips is just for you. 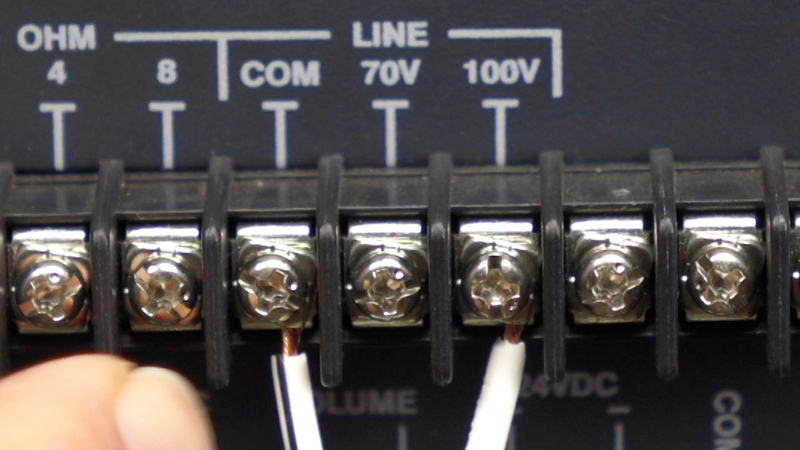 There are so many terminals on the back of an amplifier it can be very confusing. Check out this simple audio tip on how to connect your speakers together so they are in phase to each other, and then see how to connect your cable to the right terminals on the amplifier. 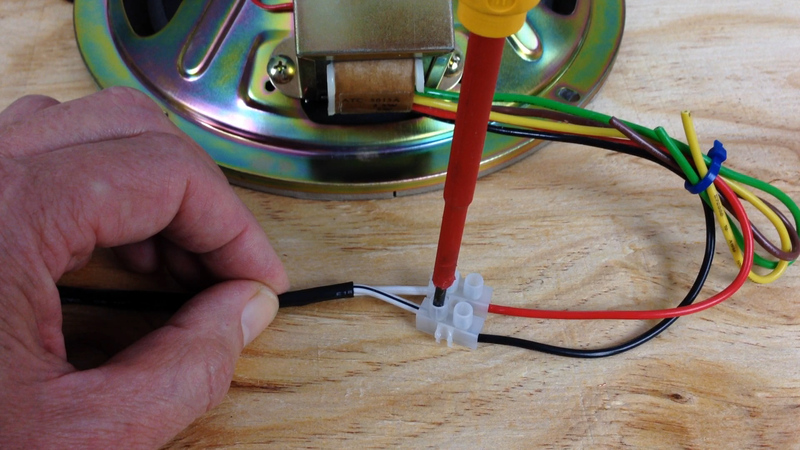 Connecting 70/ 100 volt speakers to a amplifier is not as simple as it may seem. Like most installations there are a lot of variables. How many speakers are being used and at what setting they are connected to make a big difference to the load that is on the amplifier. Once you have been able to calculate that the total load on the system is within the limitations of the amplifier you should be right to connect it all up. Identify which one of the conductors is the common terminal. 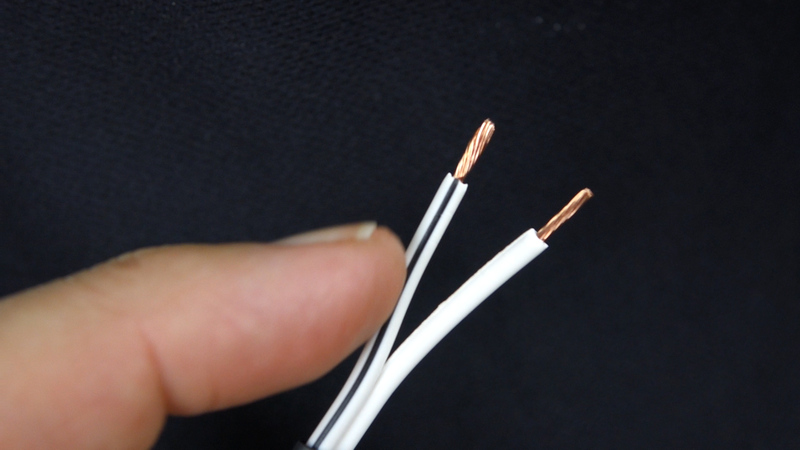 This is usually identified as the wire with a trace. As you can see from the illustration. You must check that when the speaker is being connected to the cable the trace is connected to the black/ negative terminal on the speaker. 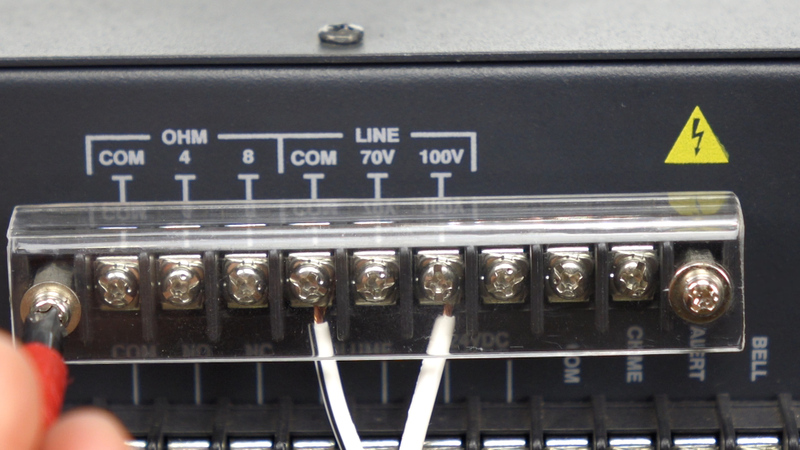 Select the 70 or the 100 volt terminals on the back of the amplifier and be sure to connect the trace wire to the COM terminal. This will ensure that all of the system is wired the same. Be sure to tighten the terminals so that you are unable to tug the conductors out. Inspect the connection to make sure that there are not any stray strands of wire sticking out of the terminal. This can cause a short circuit that will overload the system. Now that you have connected the speaker cables screw on the plastic cover to protect the terminals. The voltage can be dangerous when the amplifier is being driven hard. RODE VideoMic Pro Plus | Is it for YOU? VideoMic Me- Will it work on my device? © 2019 Simple Audio Tips. All Rights Reserved.